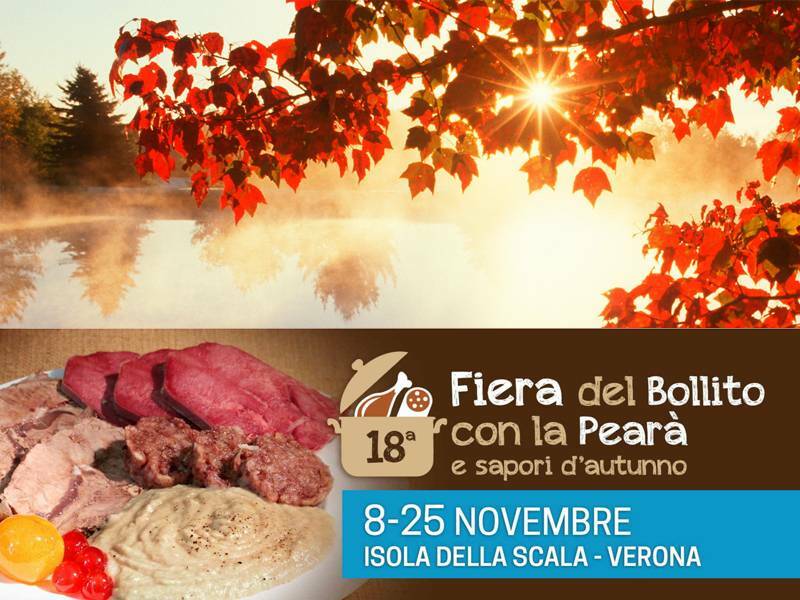 18th edition of the fair of "boiled meat and pearà" in Isola della Scala starts from 8th to 25th November proposing a rich program of technical conferences, events, shows and guided visits aimed to the rediscovery of a typical recipe of Verona, the boiled meat with pearà. It also rediscoversthe traditional flavors of this season thatall gourmets can appreciate. 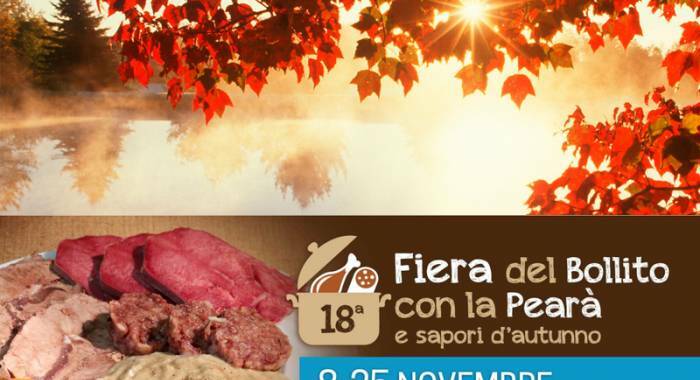 The “boiled meat and pearà Fair” is the event that celebrates the most popular dish among the recipes of the gastronomic tradition of Verona thanks to the willingness to serve, together with the most appreciates sauce in Verona, even the Italian meat quality that sees in the province of Verona one of the most important international area of production. In the "Palariso" there will be some butchers of Veronapleased to prepare you their dishes with a selection of quality ingredients aimed to promote the short chain, offering the best of the typical autumn flavors and some popular recipes, some of which are less and less frequent in the restaurants and taverns menus. You can taste tortellini in broth, tagliatelle in broth with livers, meat pie, gnocchi, Gulasch soup, pumpkin tortelli, chestnuts, cakes and seasonal fruit and more. We invite you to get in touch with our country Relais,to book your confortable room and spend a relaxing food and wine weekend in one of the most beautiful Southern Vedrona landscape.